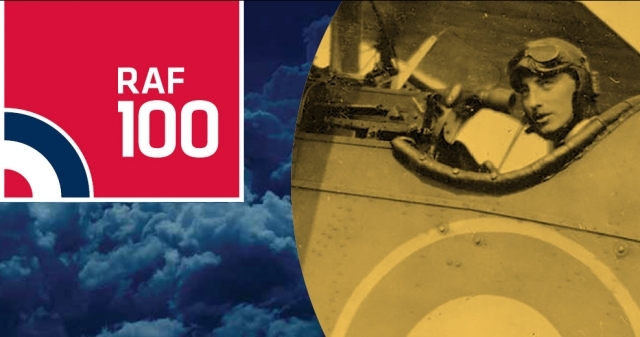 The Historical Association and the Institute of Physics have teamed up to deliver an exciting project for school and youth groups as part of the Royal Air Force centenary celebrations. The RAF100 Schools Project uniquely uses the professional understanding of historians and physicists working in education to create an active learning opportunity for schools and youth organisations, exploring 100 years of the RAF and its changing role and personnel. Across the UK and beyond millions of us are within touching distance of RAF history, possibly without knowing it. That is why for the first time every past and present RAF base has been plotted onto an interactive map. This includes all RAF bases (as well as earlier Royal Flying Corps and Royal Naval Air Service bases) that have existed in the UK and for global operations over the past 100 years. “As we celebrate 100 years since the formation of the Royal Air Force, we want to use this opportunity to share our story with the nation. I’m delighted to join with the Historical Association and Institute of Physics to launch the RAF100 Schools Project. As part of our nationwide youth and education programme, this project will help educate young people through a unique combination of history and physics. I’m particularly excited by the interactive online map which plots every RAF Station - past and present - which will help to connect schools and their students with local bases and stories”. The project delves into key moments in history when human endeavour and scientific imagination have collaborated to answer pressing needs. The learning resources explore the science behind these key historical events and help to interpret how those events and the science have impacted on the world around. “Bringing the two disciplines of history and physics together to help young people explore the role and impact human actions have had in creating the modern world has been really exciting. We are proud to have had a role in enabling young people to engage with the rich history and legacy of the RAF in their centenary year.” Rebecca Sullivan, CEO of the Historical Association. Students and young people are encouraged to participate in the RAF centenary and support its legacy through their own historical research and understanding of scientific development. We are inviting students to enter this research into a competition with prizes that include privileged attendance at RAF centenary events, technology conferences and air show tickets. All of the resources are available for free on a dedicated free and open website www.RAF100schools.org.uk which will host specially made films, classroom resources, STEM club and History club activities, historical background, a timeline and interactive maps. The Historical Association supports the teaching, learning and enjoyments of history at all levels and bring together people who share an interest in and love for the past. Founded in 1906 by a small group of history teachers and academic historians, the HA's purpose is to support teachers, to encourage the teaching and learning of history, the need to research and distribute ideas on the teaching of history and to represent the needs and interests of teachers of history to government departments and other authorities with control over education. It is currently the membership body for history teaching. Find out more about the HA's work and how to support it or benefit from it on this website. This project is part of the RAF100 Youth & STEM programme. To demonstrate the RAF’s commitment to use its centenary to inspire the next generation, the expanded youth engagement programme aims to reach up to two million 9-15 year students to build interest in science, technology, engineering, mathematics (STEM) careers.